Designing a commercial growing operation or looking for a one-stop professional supplier for a large indoor growing facility? The HTG Supply Commercial Services Division can assist with your equipment & supply needs through every phase of your operation. Established in 2002, we have years of experience serving professionals in the horticultural industry and a vast network of suppliers that allows us to provide top-tier competitive pricing. We’ve worked closely with some of the largest indoor growing operations in the nation, assisting clients in a wide range of commercial growing applications. With expert knowledge of growing systems and techniques, our Master Growers provide a level of service that is truly unique to our industry. Whether you just need to set up an ordering schedule for fertilizers and other consumables, or if you need assistance planning from the ground up, our experienced team can quickly answer your questions and provide solutions that will save you time and money. From savings to service HTG Supply has you covered. Contact us today and let us know what we can do for you! HTG Supply is the nation’s leading supplier of commercial horticulture lighting, hydroponic systems, and specialty fertilizers. We are able to leverage our buying power to provide competitive commercial pricing. 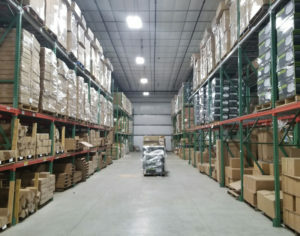 Our central distribution hub provides local-zone freight delivery for commercial orders shipping to Michigan Growers, Massachusetts Growers, and Pennsylvania Growers. In addition to our East Coast distribution facility we have 16 retail locations across the country. State medical marijuana (marihuana) growing applications and licenses are complex. States including Pennsylvania, Michigan (LARA) and Massachusetts have these processes in place to ensure safe facilitation and launch of your commercial cannabis business. Our familiarity with equipment certifications, as well as grow facility local and state permit processes, gives us the upper hand when rolling out an operational plan. We stock commercial marihuana growing supplies and we provide professional application consulting services. 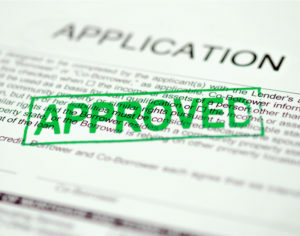 Establishing the proper local permits and scaling up the power supply are prerequisites for to the application process. Understanding the details of the required and permittable electric power supply starts at the blueprint and design phase. 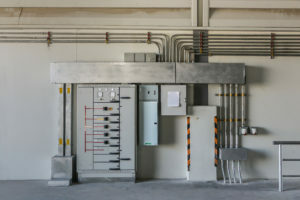 Knowing the specifics of your operation’s plan and the existing power supply can expedite your build-out. We help you navigate the details like UL listings, single or three phase panels, and overall power consumption options. Climate solutions and air-quality control play a key role in the efficiency of your indoor growing operation. Handling high-volume airflow, temperature, and air scrubbing are all services needed for success. We can guide you through equipment recommendations, as well as proper application and maintenance. We have allied our team with industry professionals to provide the most efficient services. 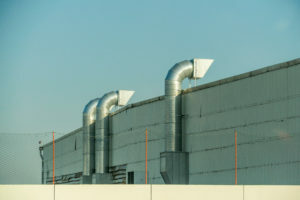 In addition, we are familiar with state and local permits and laws regarding ventilation standards. General knowledge of universal safety guidelines and allocation of proper equipment help to create a safe work environment. 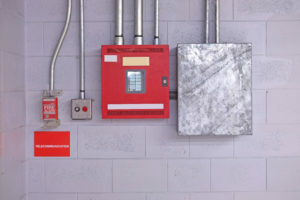 HTG Supply has been an industry leader in the implementation of fire suppression systems and alarms. Identifying possible pain points before a problem arises will certainly give you the edge in maintaining a safe workplace. Safety starts with employees and equipment. Orchestrating safe methods of operation and continuous training of employees are also actions that support a safe workplace. HTG Supply has experience in supporting medical marijuana facility layouts and deployments, including both existing and new buildings. We have worked through both Pennsylvania and Michigan licensing processes and have extensive knowledge of commercial building environments. Our documented designs and floor plans ensure your facility will operate at maximum efficiency from day one, avoiding the multitude of costly mistakes made by many cannabis startups. The HTG Supply Advantage: Our strong partnerships with top manufacturers not only allow us to deliver great pricing on their products but also give us intimate knowledge of the fine differences between them. We can point you directly to products that will work best for your operation so a subtle difference doesn’t turn into missed opportunity down the line. HTG Supply will always provide you with the best product and equipment options because our #1 goal is to help ensure your success.